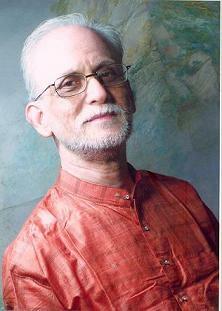 Pandit Arun Kashalkar is a very well known name in hindustani music circle. For more than 3 decades, Arunji has mesmerized audiences with his scintillating performances. Initiated into the field of Indian classical music by his father, the renowned musicologist and teacher Pt.N.D.Kashalkar, Arun Kashalkar later received training from Pt. Rajabhau Kogje and Pt. Ram Marathe. 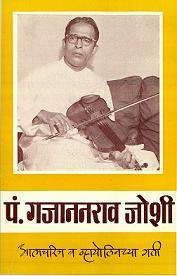 Then stalwart vocalist and violinist of Gwalior, Jaipur and Agra gharanas, Pt.Gajananrao Joshi guided Arun Kashalkar for several years. The renowned vocalist of Agra gharana, Pt.Babanrao Haldankar also taught Kashalkarji and helped shape his Agra gharana gayaki. Steeped in traditional 'Guru-Shishya' parampara, rigorous riyaz and introspection, Kashalkarji's gayaki is a blend of Gwalior, Jaipur and Agra styles, with emphasis on the lively and rhythm-oriented style of the Agra gharana. His concerts are known for the essense of this Gharana which is 'nomtom', 'bols', 'taans' of great force and boundless creativity. He also composes his own 'bandishes' under the pseudonym of 'Rasdaas'. Visit Pandit Arun Kashalkar's website for details.